Memorial Day can be a somber time when we honor those we have lost. 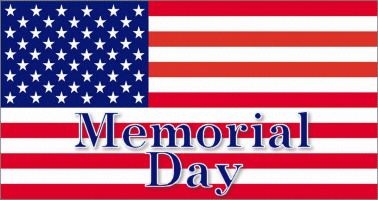 If you are spending the day with children consider their age before discussing the true sentiment of Memorial Day. Younger children might be frightened if they’re told too much too soon about war and death. Tweens and teens might be quite interested in Memorial Day’s meaning and capable of understanding the sacrifices military people make for the country. For most kids, it might be wise to explain Memorial Day simply as a time to say thank you to the people who keep our country safe. Go to a local Memorial Day parade. If you attend a parade, teach the kids to stand and place their hands over their hearts when the flag goes by and stand and clap when veterans march past. Read books about Memorial Day with the kids. Make a patriotic craft and talk with the kids about the holiday as you create together. Visit About.com’s Guide to Homeschooling offers printable Memorial Day activities for kids. Take part in the National Moment of Remembrance at 3 p.m. local time.